Students meet first lady and Harry Connick Jr. Call it a hot gig. Forty students from Miner Elementary School in northeast Washington got caught up in a heat wave at the White House on Sunday. The school’s principal was notified late Friday that the students were invited to get a behind-the-scenes look at planning for the Governor’s Ball. Once they arrived, the kids got a triple treat. They got to meet first lady Michelle Obama, who welcomed them, along with Grammy Award-winning singer/composer Harry Connick Jr., who was there to rehearse for a Sunday evening performance at the ball. Gathered in the East Room, the kids watched Connick and his band play a rendition of “When The Saints Go Marching In.” Then, Connick pulled 10-year-old Derrick Hopkins out of the audience and gave him the microphone. NE Washington's Miner Elementary watched a rehearsal for the Governor's Ball at the White House before performing for Harry Connick, Jr. and, even, the First Lady. It wasn’t the glee club’s first celebrity gig. Over the years, the students have sung for a diverse audience that’s included gospel singers, the Washington Redskins, officials at the dpartments of state and education, the Attorney General’s office and D.C.’s mayor and city council, to name a few. But singing at the White House was the club’s highlight. “I’ve been in Washington all of my life and it was my first time in the White House,” said Martin Ford, who’s been the music teacher at Miner for the past 17 years. 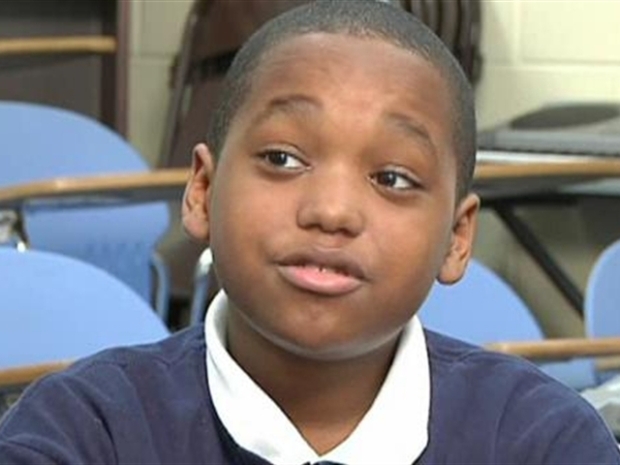 “It was very special for me and definitely for my students,” said Ford. The White House visit was also a learning experience for the students. Connick told them music can get people through disaster and the darkest times. 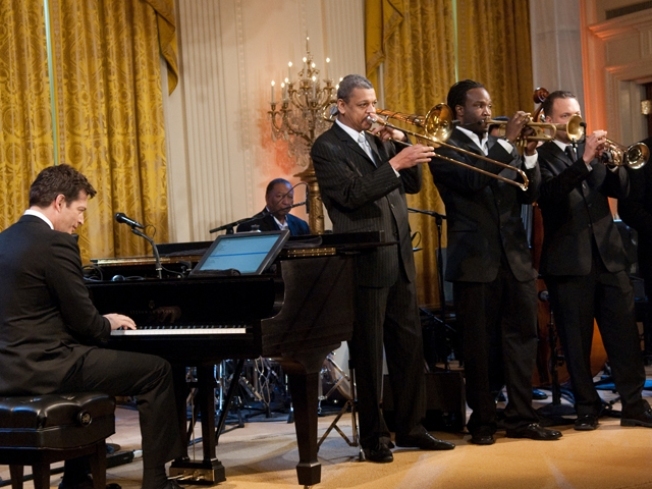 Obama told them that Connick and his band members aren't just performers, but also community leaders who aren't simply playing music and earning money. "Even if you can sing and dance, the question is: what do you give back?" Obama asked.